The latest revision of the BS 8300 standard has been released. The new revision includes, for the first time, specific guidance on accessibility for people with hearing loss. Look at why you should create a fully inclusive environment. Until now, facilities managers have had little guidance on how to make their environment accessible for people with hearing loss, the largest disabled group in the UK. The Equalities Act of 2010 merely states premises have to make ‘reasonable adjustments’ for people with disabilities and the previous edition of the BS standard – that sets out best practice – only contained comprehensive guidance for meeting the needs of those with a ‘visible’ disability. This left a grey area open to interpretation – difficult for facilities managers to make decisions and equally difficult for end users to challenge. The standard committee realised that changes in technology, styles and way of life meant parts of the BS 8300 needed updating. So what does this attitudinal shift mean in practice? Let’s take the example of a supermarket. It is ‘accessible’ if there is one wide aisle checkout for wheelchair users or parents with pushchairs. This checkout might also be where the store’s only induction loop for the hearing impaired is situated. Customers with an additional need can pay for their shopping but they have to go to a specific area to do so. The supermarket becomes ‘inclusive’ if these customer groups can choose to use any checkout – everyone’s needs are included in the design and maintenance of a space rather than being set apart. For the first time ever, a completely new annex is included within the BS 8300 standard that details where induction loop systems can be installed. The variety of applications is wide. There are 11 million people in the UK (1 in 6) with hearing loss and close to half of those wear a hearing aid. As the largest group within the disabled community, they represent a significant consumer spend and a significant proportion of (potential) employees. There could be a financial as well as the reputational impetus to get it right for your premises. As a modern society there is also a moral duty for every business or public facility. Hearing devices such as hearing aids and cochlear implants amplify all the sound a person hears. So when that person is listening to a lecture or is at the ticket office in the station it’s very difficult to hear the speech above the background noise. In a hearing loop, sound is picked up through a microphone, converted to magnetic impulses by a Driver and transmitted via a loop aerial. This magnetic signal is picked up by the Telecoil Coupler built into the hearing aid and converted back to speech meaning the sound source can be heard clearly. Hearing Loops come in a variety of applications depending on the environment they are used in. For example; fixed counter or portable loops for short range use on customer help desks, reception desks or in ticket offices, larger area perimeter loops for use in churches, meeting rooms, showrooms or classrooms, and an even larger more complex phased array loop system for theatres, cinemas or airports. Induction loops can be installed by an electrician but in order to be confident you’re meeting the BS 8300 standard and, ultimately, the needs of your customers, users or visitors you will need specialist advice to make sure you have the right loop for the right space. A professional will assess the set-up of a room and the effect this could have on a loop system’s performance. Metal, for example, can have a significant impact as it causes a loss of current power. Loops also need to be set up in the right configuration so sound doesn’t bleed through to other areas and cause nuisance or compromise confidentiality. The BS 8300 standard is clear that best practice includes making sure hearing loops work. It’s not enough to install them and feel your job is done. Maintenance should be ‘reactive and preventative’ and carried out by a provider with specialist knowledge. Completely untouched a hearing loop can potentially function constantly with no problems. However, structural changes, refurbishment, refurbishing or rewiring can cause a variety of faults with the system, hence the importance of regular maintenance. 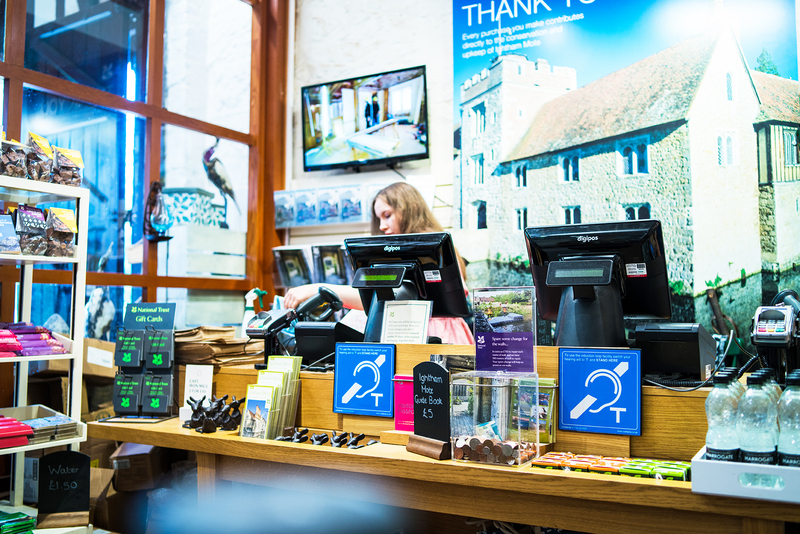 Staff are the interface between the hearing loop and the user, so it’s vital that they know a loop is in place and can advise visitors or customers accordingly. Their knowledge is particularly key if the loop is portable – make sure everyone knows where it is kept, how it works and how to demonstrate that to the user. Signage is another important element the Standards cover. In order for users to benefit from an induction loop they need to know it’s there. Signage should be displayed where the loop is available so if you have one at every checkout, every checkout should display the sign. This revised code of practice is crucial primarily for creating an inclusive space that everyone is able to use. While it is not enforceable by law, compliance with a British Standard demonstrates you take your responsibilities seriously. The new BS 8300 provides a benchmark against which your facilities can be set. 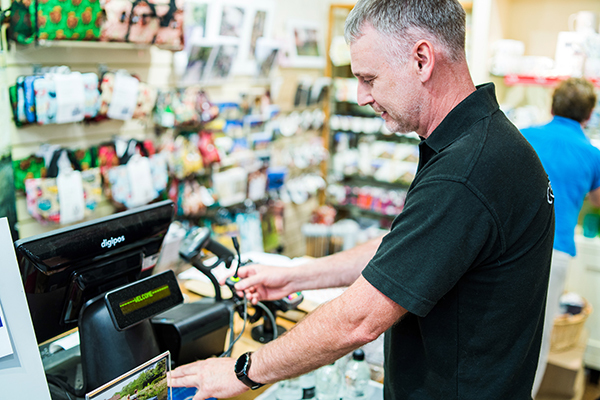 It now offers a definition of the ‘reasonable adjustments’ the Equalities Act requires you to make and non-compliance can leave you open to a challenge from a user, customer or visitor whose needs have not been met.